Frownies Review - My experience with Frownies with before and after photo! Today I like to share with you my experience with Frownies. Have you ever heard of Frownies? They are basically facial patches made out of brown paper tape (my guess is: you can also go ahead and get yourself some brown paper tape and cut it in the desired shape). You just wet them and stick them on your wrinkles and sleep with them! Frownies come in all kinds of shapes and for all kinds of wrinkles on your face. I have a pretty deep glabella line between my eyes (I always say I have a 1- instead of a "11"). So I am sleeping with my Frownie since December 2013. I have to admit that in the beginning I could not quite figure out on how to apply them- I made some mistakes because the instructions stated that I should not pull my skin too strong- and after my second night I ended up having a "11" instead of a "1"- that scared me so much that I almost gave up using these. But then I found out that I did it wrong. You have to massage the desired area and then really pull the wrinkle completely out so that there is no visible wrinkle- then put the patch on. I think it is hilarious that my husband and my son are so used to see me wearing my Frownie in the morning- they do not even mention it anymore. In the beginning I was of course the running joke- but I did not care much- lol. Now let me show you my results- although I do not want to call it results because I will still keep wearing my frownies- this is a slow, slow process but I do see a difference. I think you can clearly see results. I find also that Frownies teach me to be more aware of my squinting. I try to avoid any squinting and to relax my facial expressions. I noticed that a lot of squinting was also happening during my night sleep because I seem to be a wild dreamer- hehe- sometimes I woke up with headaches before using my Frownies! The Frownies seem to give me a more relaxed night sleep! I recommend to start with is once you notice only a tiny wrinkle on your face. My glabella line is so deep that the process is probably much slower then if you start right away. 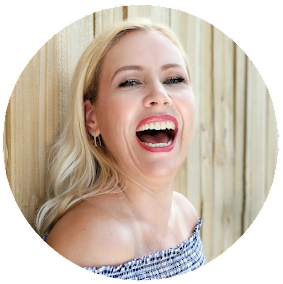 I do have my glabella line since many years and over the years it has gotten only worse- the constant squinting in always sunny Florida does not help either of course. I try to always wear sunglasses and a hat to avoid squinting now. Sometimes when I wake up in the morning the line is almost gone! But after a couple of hours you will see it again. 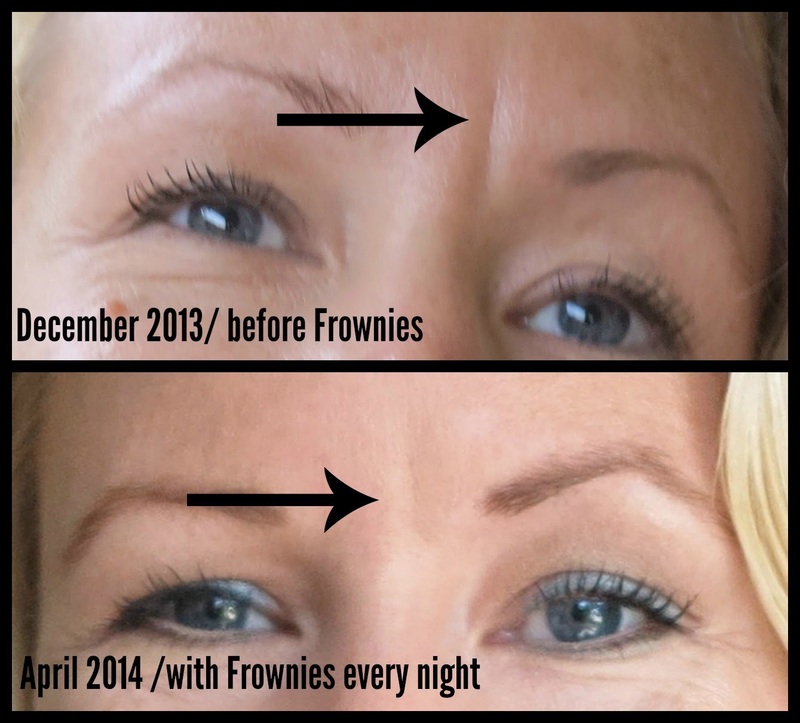 I recommend Frownies if you are looking to get rid of your glabella lines- or also forehead lines. They are really inexpensive also- I paid around $20 for a 8-16 week supply (depends how many frownies you use). I use only 1 frownie right on my glabella line. Check it out also on Youtube! Have you ever heard of Frownies? Would you consider using them? Get your Frownies for Forehead & Between Eyes here. See also my Tips & Tricks to get rid of wrinkles.